I’m poised to broach this first jar of plum and orange jam with my breakfast toast. But before I get sticky fingers I thought it best to write the recipe down and post the pictures. I’m undecided if this jam is a success. I found it in the newspaper last weekend and the author is the peerless Diana Henry, a wonderful cook. And we all know that tearing interesting recipes out of newspapers or weekend magazine supplements is a Recipe For Disaster. They get piled up. They get filed, they get mislaid. They create clutter. So I have decided to just make everything I find and not reflect on whether they might or might not work. And it just so happened that I was rummaging about for a suitable plum jam recipe. I had picked a few kilos from a burgeoning tree at Rousham last month. I had no idea what I was going to do with them. So I took out the stones, halved them, and shoved them in the freezer. What? That’s not the normal response? 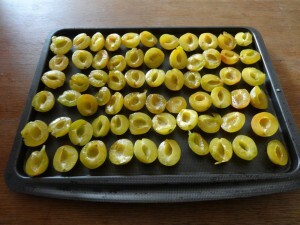 Now plums, especially these pale coloured ones, can be bland. Dare I say anything that comes from the magic of Rousham is bland? They just need funning up. And I guess that is what Diana Henry decided. Her recipe, which I have adapted, is full of citrus fruit. And I was feeling particularly nostalgic for that wonderful spice in jam as my purple figs didn’t ripen this year and give me enough for my favourite jam. The original recipe calls for 20 pods. I just can’t do that – there is a rather strange effect from overdosing on cardamom. A rather fast rush to the bathroom effect. And you could say that 20, crushed to dust, and diluted in a huge pot of jam wouldn’t make a difference, but I decided on a wimpy five pods for the whole batch. Flecks of black in a jam is never a pleasant look, so this isn’t the prettiest pot. Pause while I have my toast. I’m starving. And the verdict? Basically, you are making a marmalade with plums to bulk out the product. But it is flavoursome. And rather good for those of us just counting the months until deepest winter when the Seville oranges ripen and we can just make the classic marmalade. I normally can get a batch of jam sliced, prepared, measured out and made in about 30 to 40 minutes. But you do need to cut and then soften the oranges first. So expect the whole process to take about an hour. Time enough to shove all your jars, ladle, lids and funnel into the dishwasher and run a cycle. That way your equipment will all be sterilised in time for potting up. Find your camera to take shots of the glowing jars, and send them to me as proof I’m not just writing these recipes on my blog so I don’t have to file away or lose an article torn out of the weekend magazine! Put a small saucer in the freezer for the jam set test. Slice the oranges into very thin rounds, removing the seeds and quarter each round and put in a saucepan with 5 fl oz (150ml water) and the juice left over from the slicing. Cover, bring to the boil and simmer 20 minutes until very soft. Meanwhile halve, stone and slice the plums. I leave mine a bit chunky so they don’t all disappear in the jam making process. Put them into a large saucepan with the juice of the orange and the limes. Bring to a boil, stirring, and when the orange peel has done its 20 minutes, tip them in too. When all is hot and bubbling, add in the sugar, stir like mad to dissolve, making sure no crystals are on the side of the pan, and then bring to a good rolling boil. 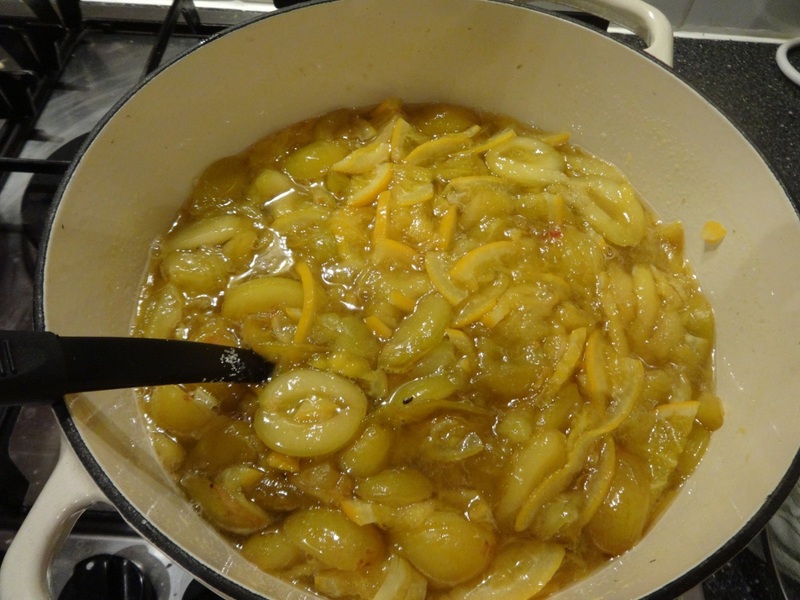 Stirring is a dangerous activity with jam making, (volcanic lava of burning sugar and fruit can result) so it’s better to have your jam turned down a bit to avoid burning on the bottom of the pan rather than a fast boil. Cook for 20 minutes. To test for the setting point, take out a spoonful of jam and place it on the frozen saucer. Leave for 30 seconds and then push your finger through the jam. If it wrinkles, it has set. But this recipe isn’t fussy. Mine had only just set by 20 minutes, but was threatening to burn on the bottom of the pan. So I turned it off. Leave on the stove while you get your jars and lids out of the dishwasher and then stir all the slightly cooling jam and ladle into the jars. 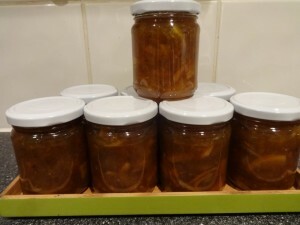 Lids on straight away (use a dish towel to tighten them properly – the jars will be hot). First time visiting – from Karen’s comments. In Florida we have tons of wild plums. About 1″ very tasty and tart juicy little bits that are eaten by birds or fall to the ground and squish immediately. Luckily they produce millions and each squish produces a baby tree that gets mowed over unless it falls in the planted area. 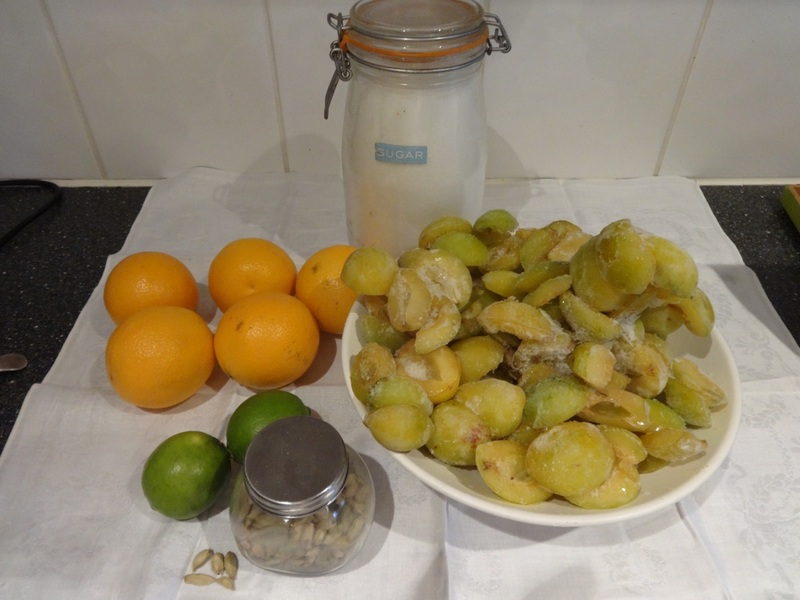 So – since I now have several tress loaded with blossoms I can make jam which from these little bits is just wonderful. Can’t wait to visit you when I have more time and learn more. Your comment and you site will be so fun and interesting with my coffee breaks! Have a great day and see you later. Hi Mary, I’m so pleased you visited the site. Lucky you to have such a plum glut. Do comment or ask any questions that come up when you read. 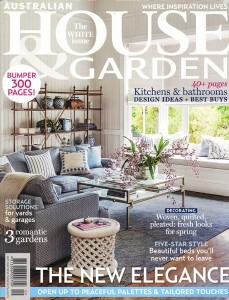 I can’t imagine what it’s like gardening in Florida where you have no proper winter. Well, it must be like Sydney where winter never really gets stuck in. My poor mother’s garden is so lush and tropical and things invade with alarming speed.